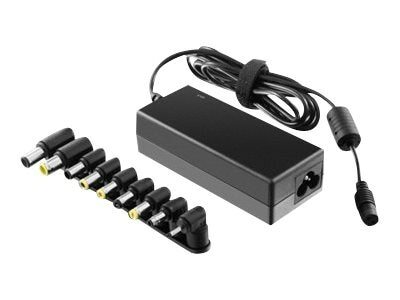 Are you tired of carrying your laptop power adapter with you between home and work? Have you forgotten or lost your adapter or has it just stopped working? You are not alone. Take comfort in knowing that Aluratek's universal laptop adapter is fully certified and energy star rated for efficiency supporting just about every laptop or netbook on the market. Another quality product brought to you by Aluratek.